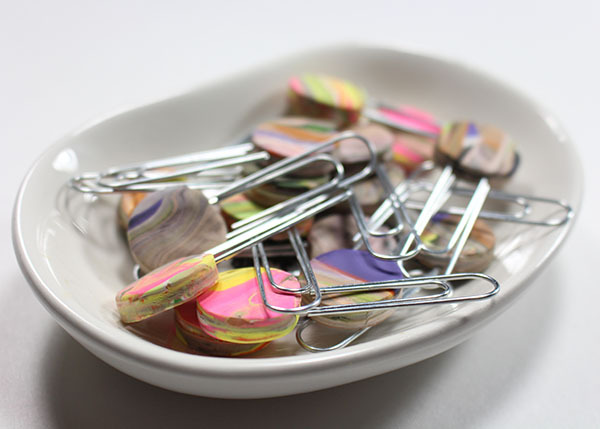 "Clay Trash Clips". Funny name right? Well let me tell you about them! My local bakery makes this amazing dessert out of cake remnants that they pipe icing onto. They call it "Cake Trash". I was cleaning and organizing my work area and I came across a bag of clay remnants that I had been saving. There's not a lot I can do with them, and as a clay artist clay remnants are inevitable. I had accumulated quite a large quantity of remnants. I didn't want to throw them away since I HATE waste. An idea came to me! 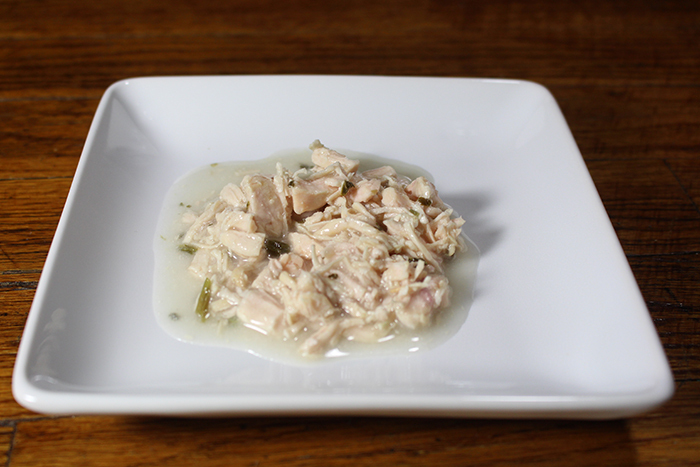 So I mashed them together, flattened them out, and cut them into little circles. Clay Trash clips were born! 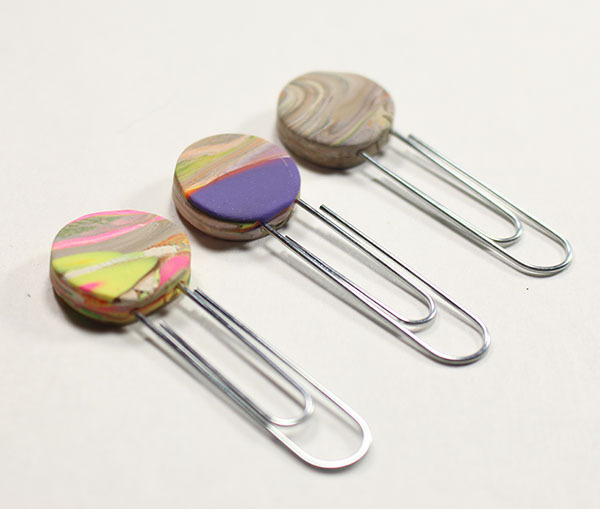 These clips will be in limited quantity and only available when I have built up remnants. They'll be incredibly affordable at only $1.50 a piece and will come on a silver paper clip. 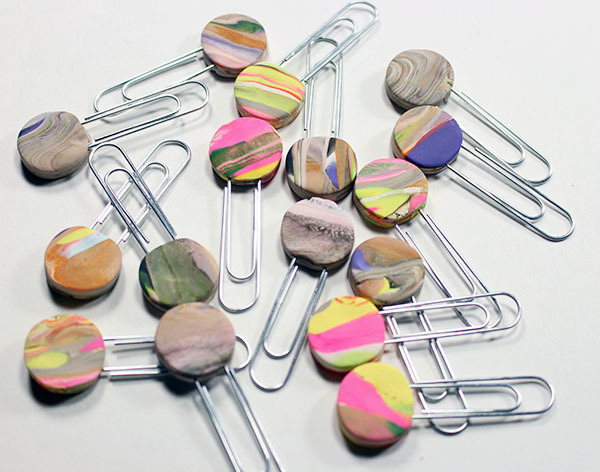 Clay Trash clips will be one of a kind, as no two are exactly the same. Some came out looking like marble, and some came out like tie dye! I think they're incredibly adorable if I do say so myself! Hello! Can you believe Christmas is next week?! 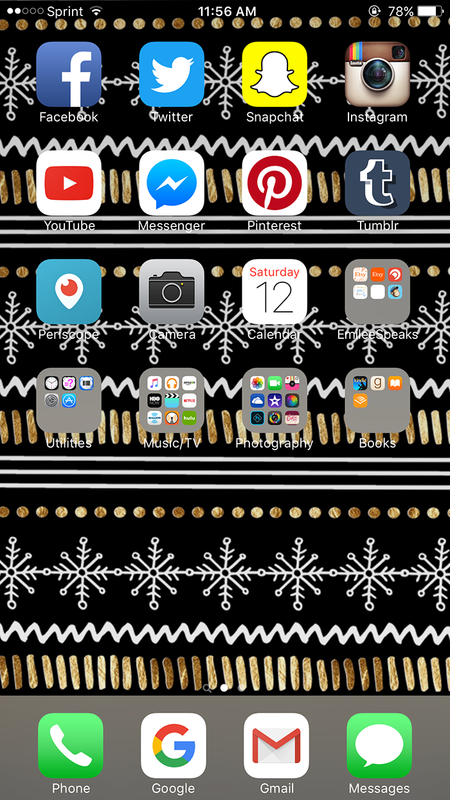 Man time has definitely gotten away from me... Today I have an adorable Christmas themed iPhone for you! 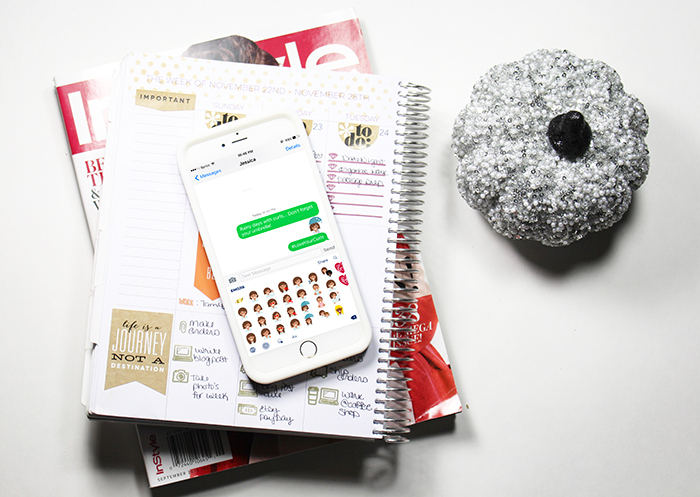 Dove Hair has put out an awesome emoji keyboard for us curly girls! 74% of people use emojis every day and they are seriously lacking in representing curly girls. 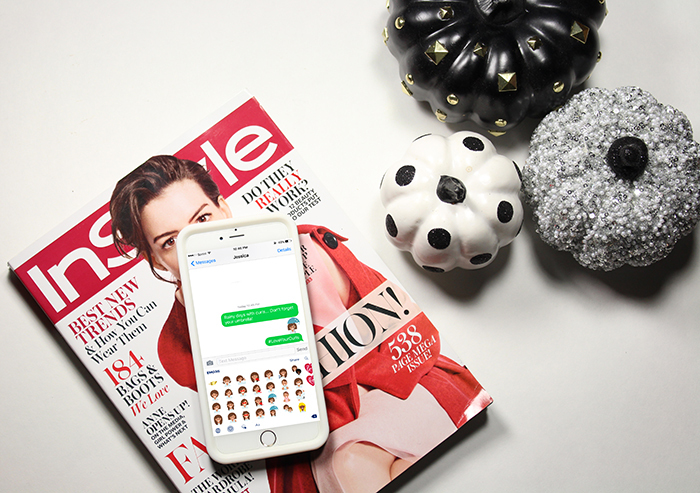 Straight hair remains the "one size fits all" hair type for women in the current emojis. Dove Hair is working to fix that. Not only did they release the "Dove Love Your Curls" emojis, they're partnering with Twitter! Every time you share a #LoveYourCurls moment on Twitter, a custom Dove Love Your Curls emoji curly girl will appear in the tweet! 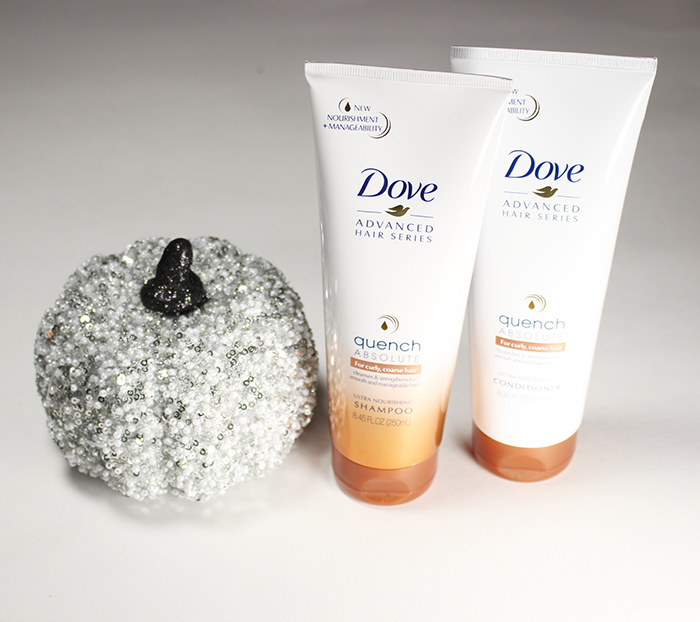 I'm a huge fan of the new Dove Hair Quench Absolute line for curly coarse hair. It adds the moisture I need to keep my curls from going crazy frizzy, especially this time of year as we start running the heater in our homes. I think that is definitely worth sharing a #LoveYourCurls moment on Twitter! I can' think of a better representation of me and my curly hair! When it's raining, an umbrella is a must! You have to protect the curls! 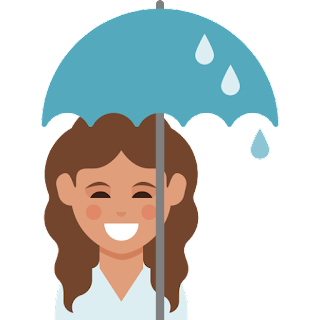 I downloaded the Dove Love Your Curls emoji keyboard in the Apple App Store, but it's also available for Android in the Google Play store! 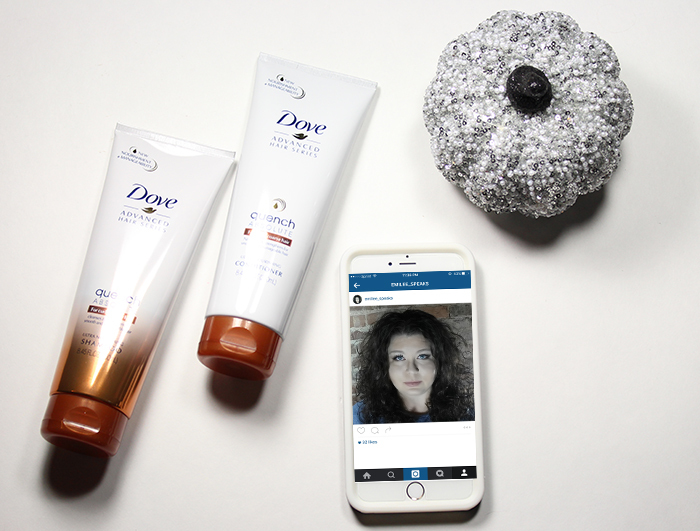 Download the Dove Love Your Curls Emojis in the App Store and Google Play Store to show you #LoveYourCurls! Let me know when you try it out! These emojis are too fun! Running a business is hard work. I work from 8am to almost midnight some days. My day has to flow as efficiently as possible, or I'd never accomplish anything. Today I'm going to share with you my tips and daily tasks that help me run the most efficient online business that I can. While my business is based online, I'm actually a very analog person. I need tangible lists, folders, invoices, and planners. Can all of these things be housed digitally? Sure they can, but that's not how I operate. I need a physical daily to-do list that I can physically cross off. I need physical file folders that I can put actual paper invoices and receipts into. And it's no secret I keep a physical planner for organizing my life. 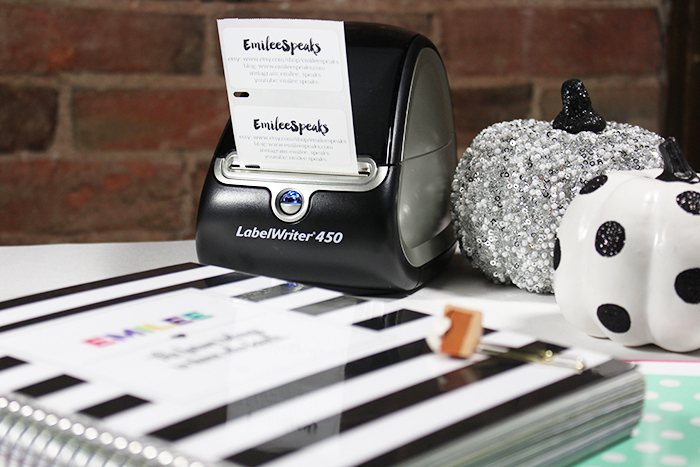 One of the most important tools for helping me stay not only organized in my business, but actually help me create perfect packaging for my orders is my DYMO LabelWriter® 450. I purchased my DYMO LabelWriter® 450 with a value bundle pack at Staples.com. This thermal printer has been a game changer for me and my business. 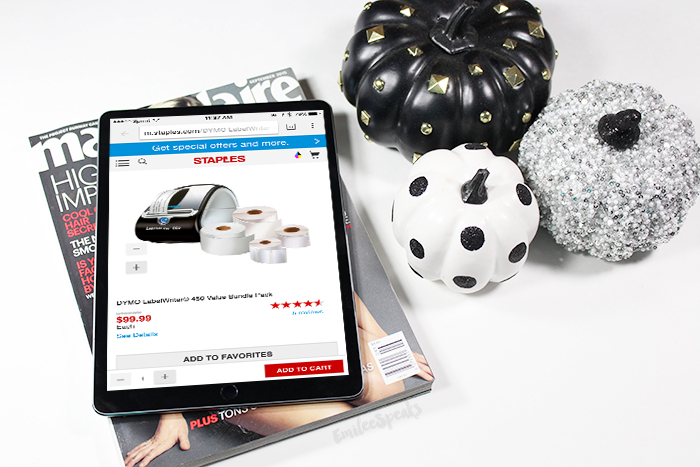 Be sure to go check back every week for Staples Daily Deals for special deals on your favorite DYMO LabelWriter® products including DYMO LabelWriter® 450 Bundle, LabelWriter® 450 Turbo, and LabelWriter® 4XL Turbo! The DYMO LabelWriter® 450 Turbo is great for printing USPS postage right from your computer with no monthly fee needed. It prints at high speed and takes the LabelWriter® 450 to another level with printing up to 71 labels a minute. I use the DYMO LabelWriter® 450 thermal printer to quickly make labels for my product packaging. Talk about efficiency! Etsy shops are known for their attention to detail with packaging. Gone are the days of printing out full sheet labels on my inkjet printer. That was costly due to the price of the labels and the ink. Plus it can take forever when you're trying to print a lot of labels at a time. 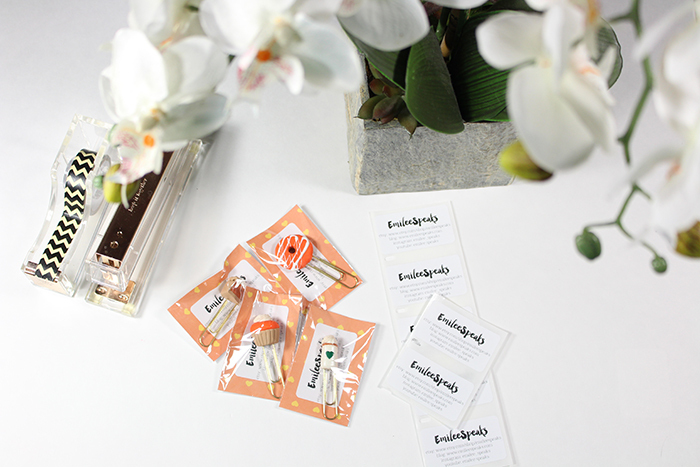 On my packaging labels I put my shop name, my shop url, my blog url, my Instagram username, and my YouTube channel. This puts my social media info directly into the hands of my customers and encourages them to follow me creating a better relationship between us. One of my most productive tools I created was my folder system. It's a form of the infamous 43 File Folder System. This folder system is my life line. If you're not familiar with the system I did a post about it in January, but I've since altered some of the ways I use it. My etsy business is growing quickly and I have orders to make nearly every single day of the week. With the help of my DYMO LabelWriter® 450 I was able to create new labels for my folder system. I have 12 folders labeled January thru December. Then I have 31 folders that are labeled 1 thru 31. At the start of each business week I print out my order receipts from customers. I then place them into the corresponding folder of the day of the week I will be making their orders. Every single morning after I've completed my morning routine, I sit down with a cup of coffee and my folder for the day. Today's folder is 12 since it's the 12th day of the month. I also place reminders or written to-do lists into the daily folders. This keeps me from inserting too many items into my planner and making it bulkier than it already is. 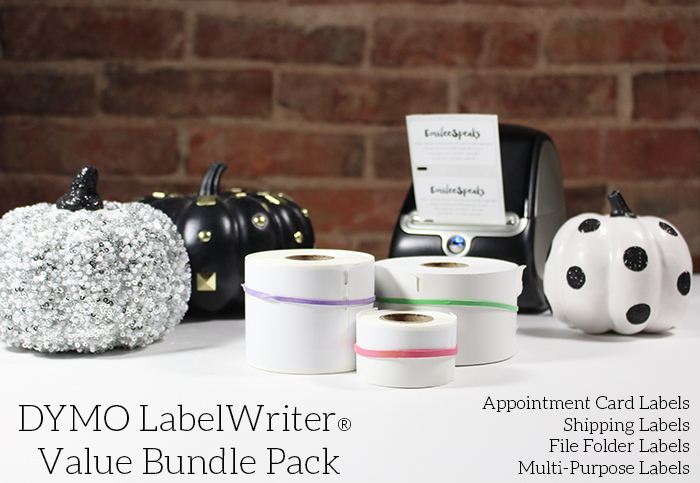 The DYMO LabelWriter® Value Bundle Pack comes with 4 different rolls of labels to get you started. The thermal printer also comes with DYMO Label™ software which is incredibly user friendly. I was able to whip up my label designs in no time. The DYMO LabelWriter® 450 lets you print crystal clear bar codes, labels, and graphics with 600x300 dpi resolution. You also have the option to create custom labels from 60+ label styles and layouts! Being a thermal printer you eliminate the need for expensive ink or toner. This is a huge plus for me. The DYMO LabelWriter® 450 is primarily available online, however it's available in some stores so be sure to check the store locator. 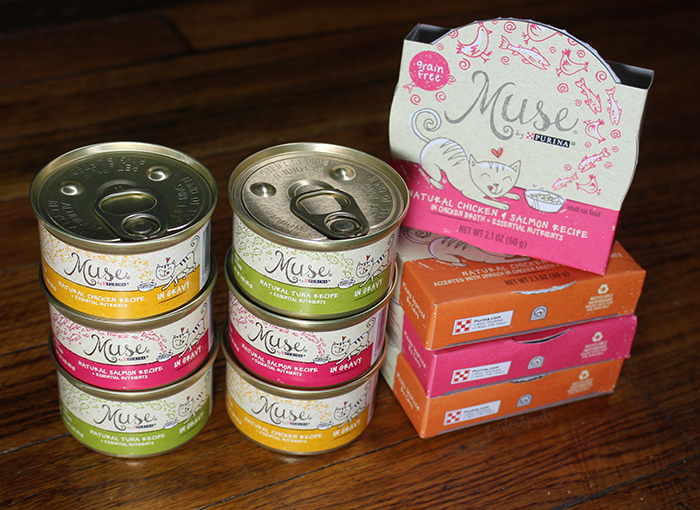 I also utilize the DYMO LabelWriter® 450 to create coupon code labels to include in my packaging. I can easily customize the coupon per order by printing one label specifically for a customer, or printing a bunch of labels for all customers. This isn't a luxury you have with your inkjet printer and full sheet labels. Coupon codes are a necessity to getting repeat business. Show your customers that you're willing to go the extra mile and that you appreciate their business! They will be more likely to repurchase from you. This is a quick efficient way to promote yourself. 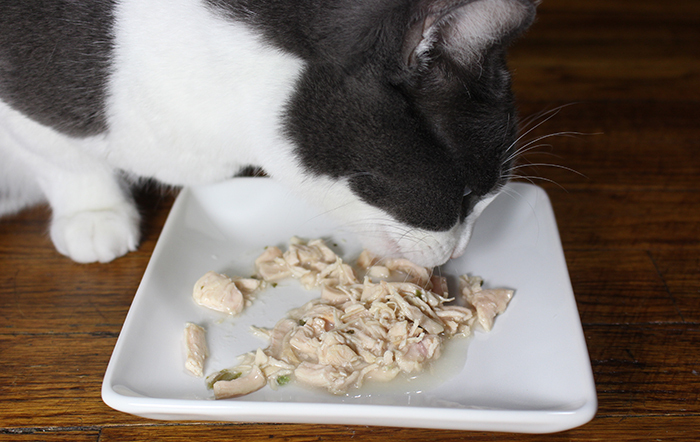 ♥Have a daily routine: This is vital! If you start each day running around not knowing what you're doing next, you're setting yourself up for failure. 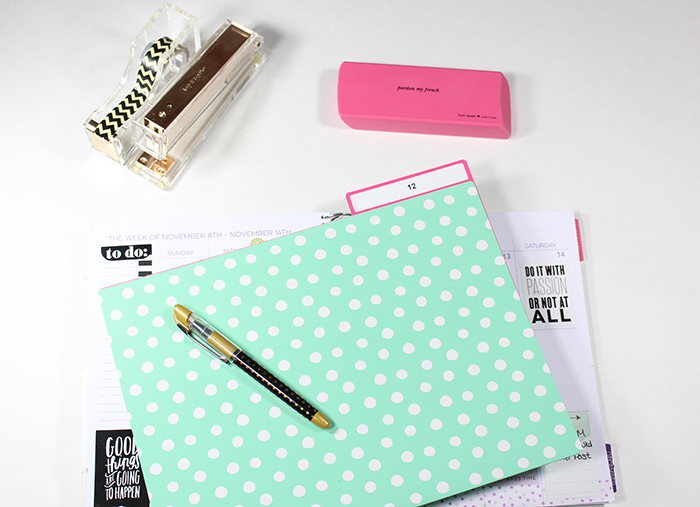 ♥Plan and organize everything: Chaos can ensue quickly in your office. Make sure that everything has a home and it gets put back. You can't operate efficiently if you can't find what you need to do your job. 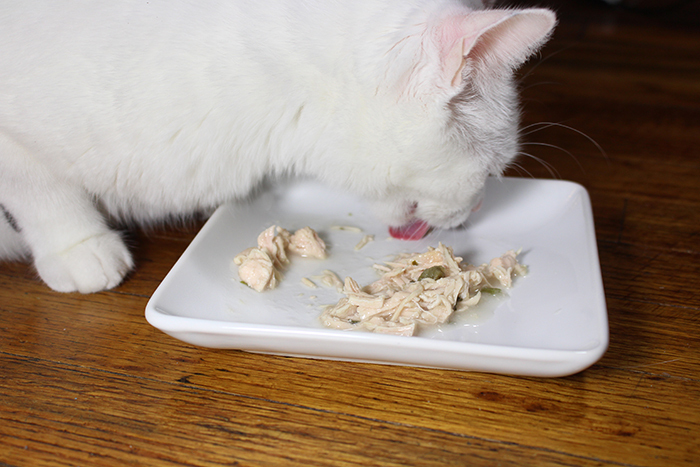 ♥Eat: This may seem silly but you'd be surprised at how many people get so busy they forget to eat. I was this way in the beginning. I'd skip breakfast in a hurry to get my work day started. Now I start each day with a balanced breakfast and schedule a lunch time for myself. If you're hungry, you're not going to be at your best. 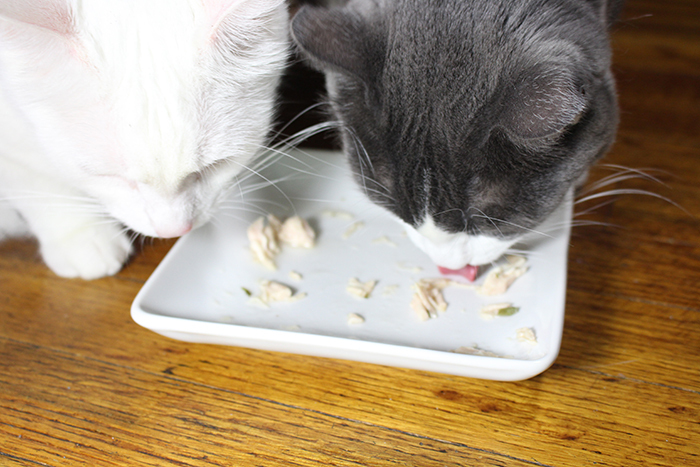 ♥Know when to bring in help: This is a struggle among most entrepreneurs. We tend to take on the attitude of "I can do it all". Well some times you just can't. I recently had an incredibly large order with a very time sensitive deadline. I told myself that I could do it all on my own. I couldn't. The final week I checked my pride at the door and enlisted help. ♥Sleep: Due to my family's schedules, I don't get the recommended 8hrs of sleep a night. It's just not feasible. If you are able to, DO IT! Being sluggish is the worst productivity killer of them all. Since I am unable to get a normal full night of sleep, I take an afternoon nap every single day. I wouldn't be able to get everything done if I didn't. ♥Batch work: Have specific days of the week that you complete specific tasks. 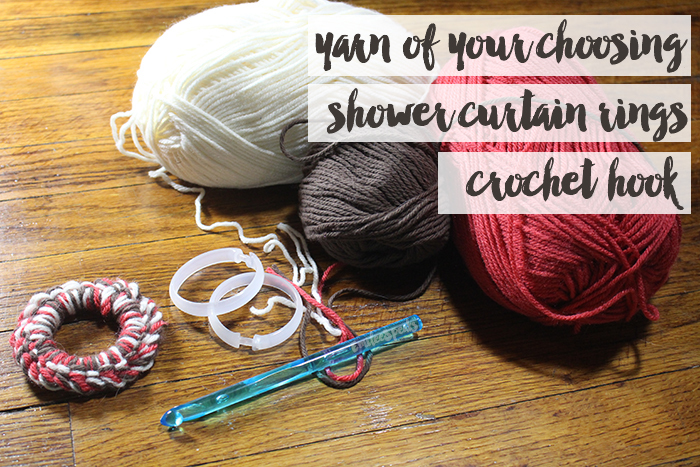 For example: with all of my hats [blog, youtube, etsy, etc] I have a lot of tasks each week to complete. So I spend one day taking photos & editing. Then another day writing or filming. I ship 2 days a week so that I'm not running to the post office daily. If you tried to do a little of everything each day, you'll get a whole lot of nothing completed. ♥Create stations: In my home office I have "stations" setup. There's a section of the room that is devoted to making orders. All of my supplies are in that section at that desk. Then I have another section in my office setup for packaging. And another section setup as a studio for filming and photography. With everything always setup in its own section, I never have to drag stuff out or spend time putting stuff away. 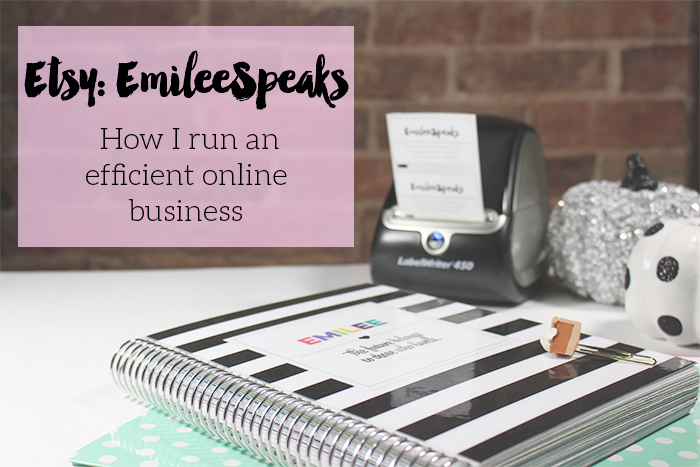 This is how I run my business efficiently and smoothly. The DYMO LabelWriter® 450 has been a huge help in achieving this. What is your business? How can the DYMO LabelWriter® 450 help you run your business more efficiently? 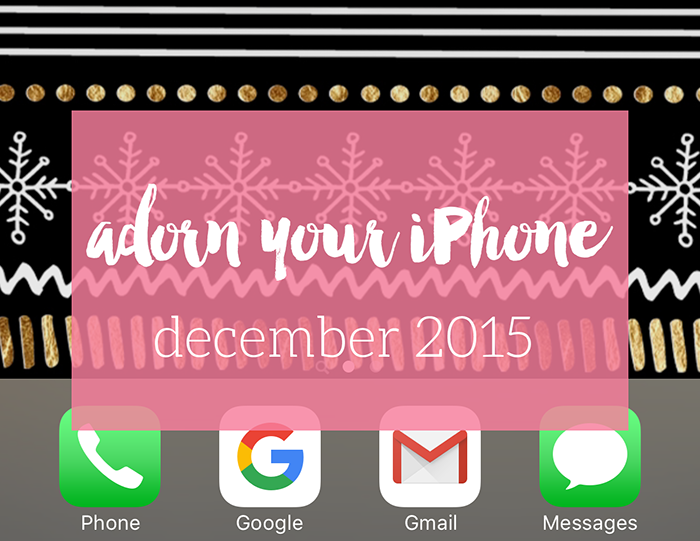 Yes you read that right... the days of Adorn Your Android are over. I crossed over to the other side! There were many decisions that went into my choice to abandon the Android interface and go with iPhone. If you'd like me to go into that in another post, let me know in the comments and I'll be glad to do so! I now have the iPhone 6s Plus in Gold. Setup took me awhile to get figured out, it's a bit different than Android obviously. I honestly haven't had a bunch of time to work on the layout since I purchased the phone several weeks ago. 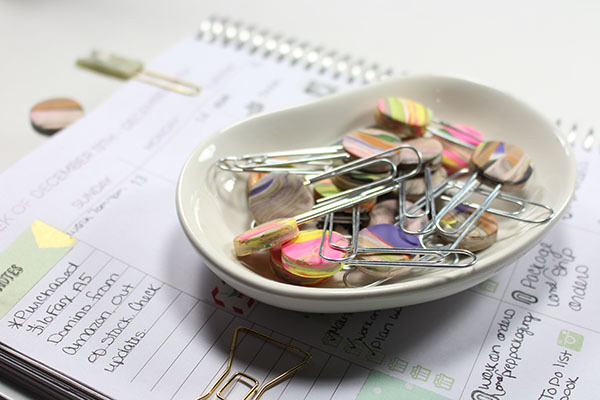 I've been super duper busy hand making 4600 special order paper clips for The Planner Society subscription box! My whole life for the last month and a half has been devoted to making these clips. I'm finished and getting caught up on blogging & YouTube. 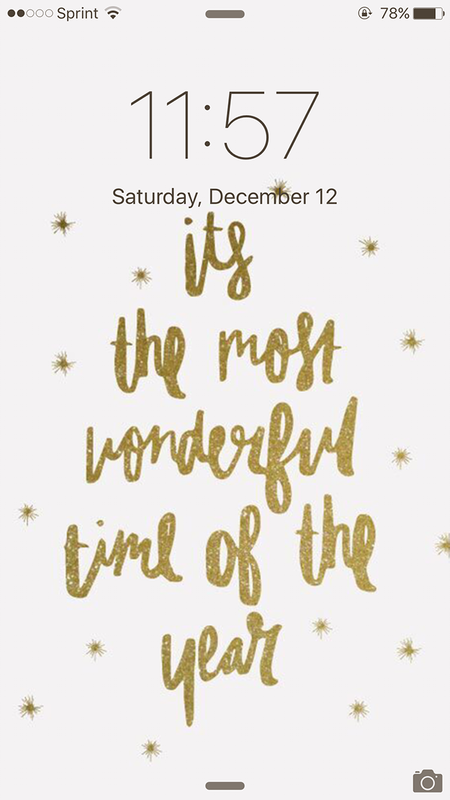 This is the lock screen wallpaper I chose for November. I felt it was incredibly fitting for the month. 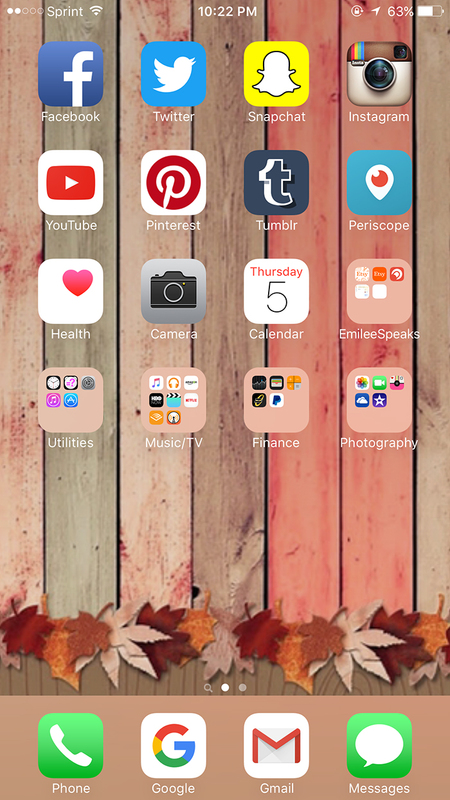 I took to Pinterest to find wallpapers for my new phone. You can view my phone wallpaper board here. This wallpaper was found on this blog but was apparently originally from Cuptakes. Since I've been so incredibly busy, I haven't had time to really setup my folders and icons in a way that makes me happy. This was the best I could muster up in the middle of the month of thousands of paper clip making haha. I'm still in the phase of downloading apps that I had forgot I needed. 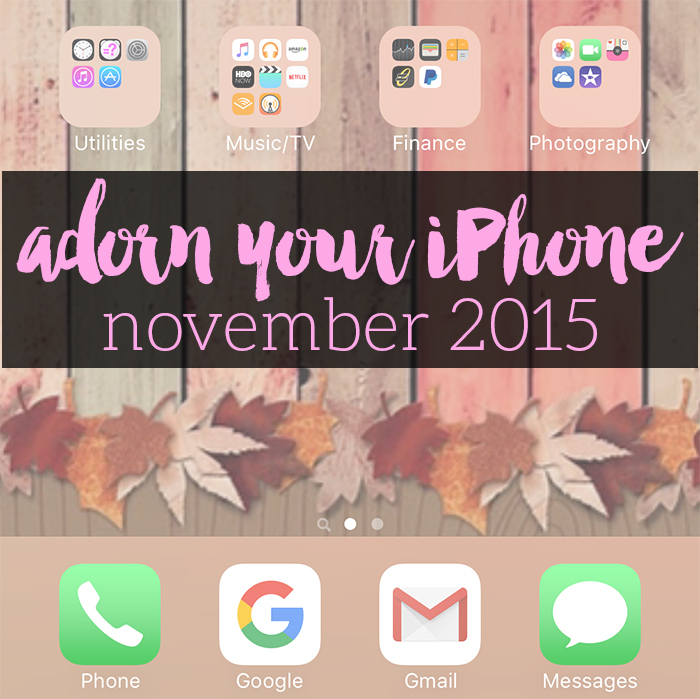 I promise next month's adorn your iPhone series installment will be better. I just really felt guilty that I haven't been able to post much on here lately. I recently did a home decor post about how I love living seasonally. In that post you see that I have an industrial style apartment. I LOVE my apartment and love that it's unique. With its exposed brick walls and built in metal artwork, it really is one of a kind. However, sometimes a girl needs some "glam" in her life. My bathroom is truly a space of serenity and glam. When I'm having a horrible day, nothing is better than a long soak in the bath. My bathroom is MY place for relaxation and recharging. This is one of the rooms in my apartment that I spend the MOST time decorating and sprucing up. Today I'm sharing with you some super easy and affordable DIYs to help you add a little glam to your day! 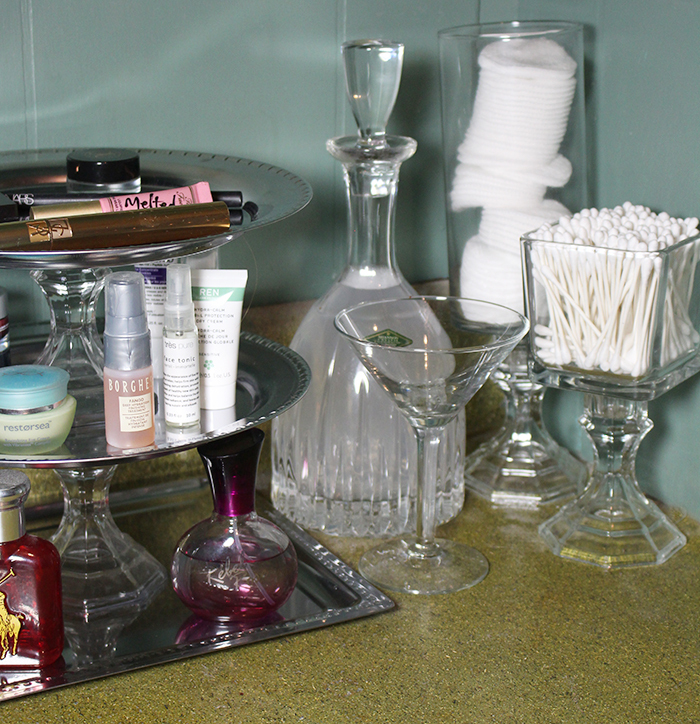 For the glam tiered counter organizer, you'll need 3 metal trays, 2 candle stick holders, and some awesome glue. I prefer E6000 since it's great for nearly ALL surfaces. 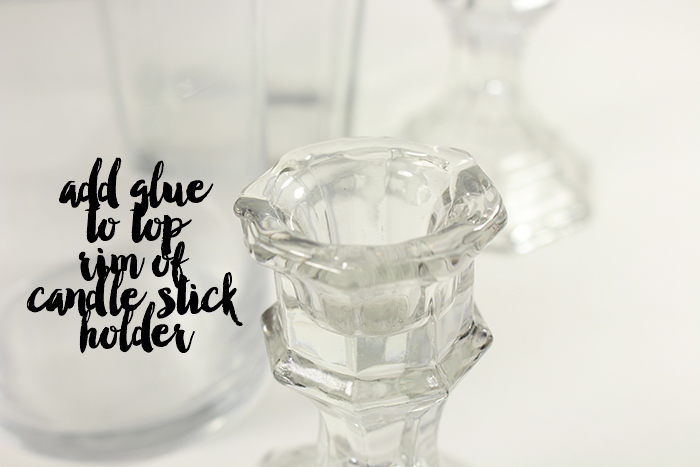 Liberally add your glue to the bottom rim your first candle stick holder. This glue dries clear, so you don't have to be perfect with it. You want to make sure you have a good helping of it on there. 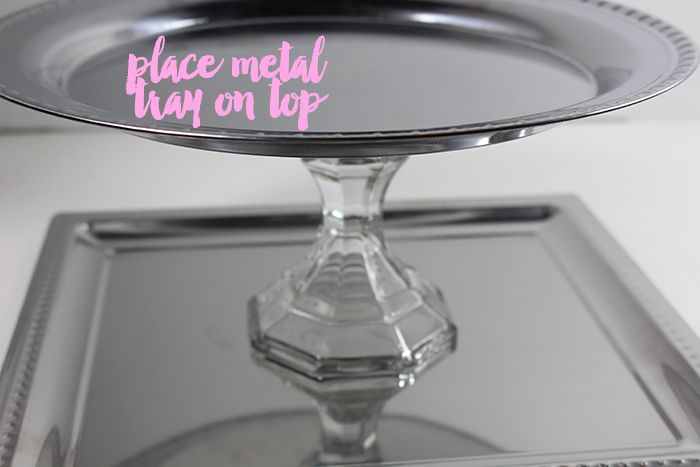 Place your glued candle stick holder base onto the center of your first metal tray. You'll want to try your best to get it centered. Press it firmly down. 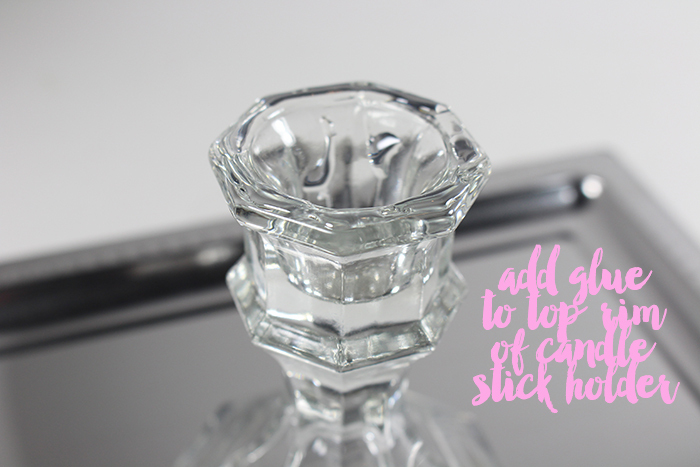 Now liberally add your glue to the top rim of your candle stick holder. Again, this doesn't have t be perfect. Just make sure you get it all coated. 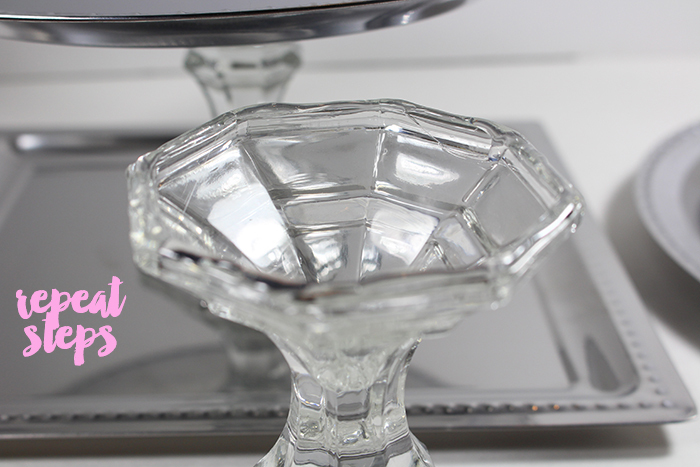 Place your second metal tray onto the top rim of the candle stick holder. Press firmly to get good contact of the glue on the tray. 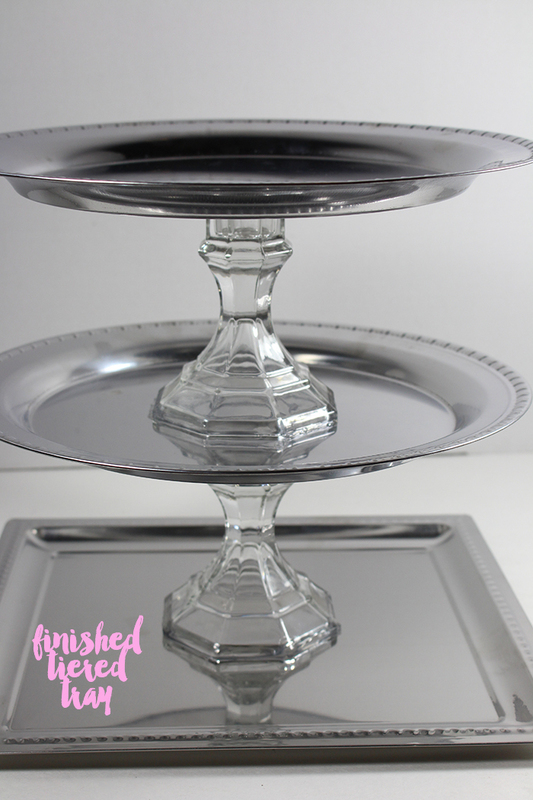 Repeat those steps until you have 2 candle stick holders and 3 metal trays stacked up and glued. You'll want to let this sit for at least 24hrs and up to 72hrs [based on the glue's instructions]. 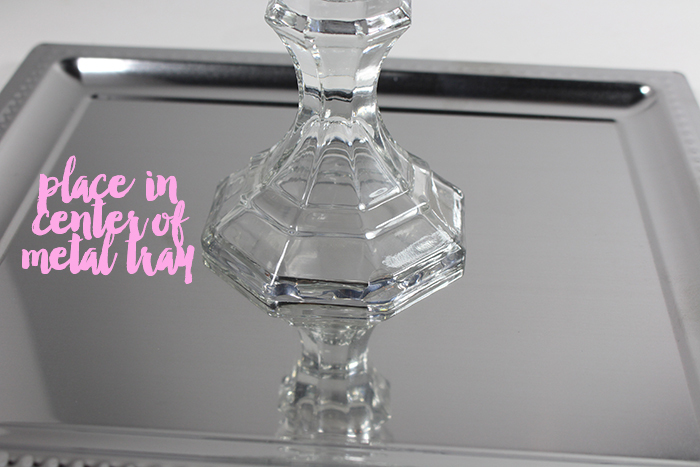 Once it's cured, you've got a beautiful glam tiered shelf for your bathroom counter! 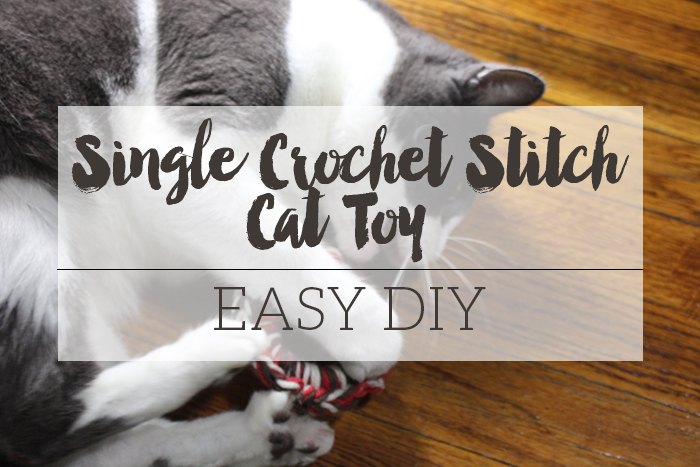 Super easy, and super cheap. 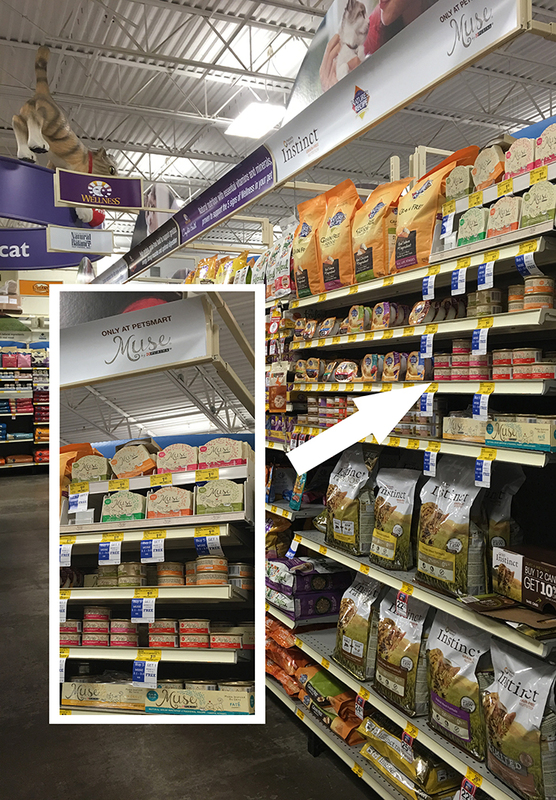 You can get these products anywhere, but I picked mine up at Wal-Mart! 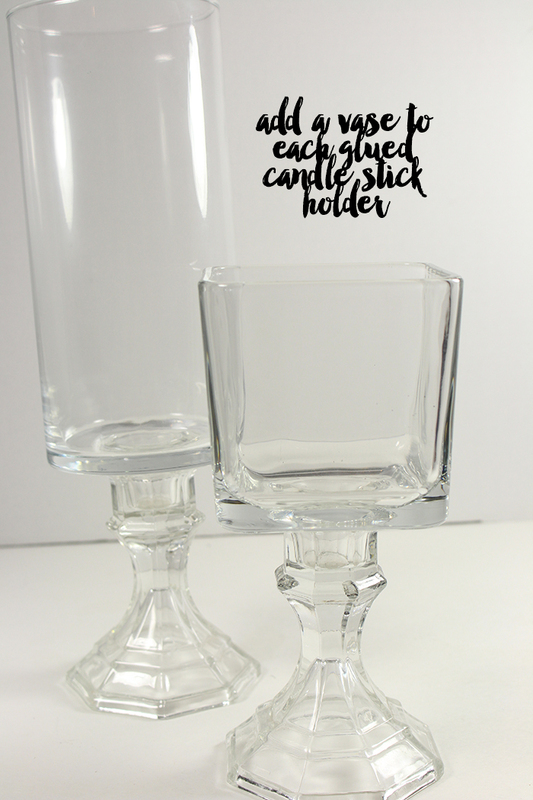 For this project you'll need 2 glass vases and 2 candle stick holders. 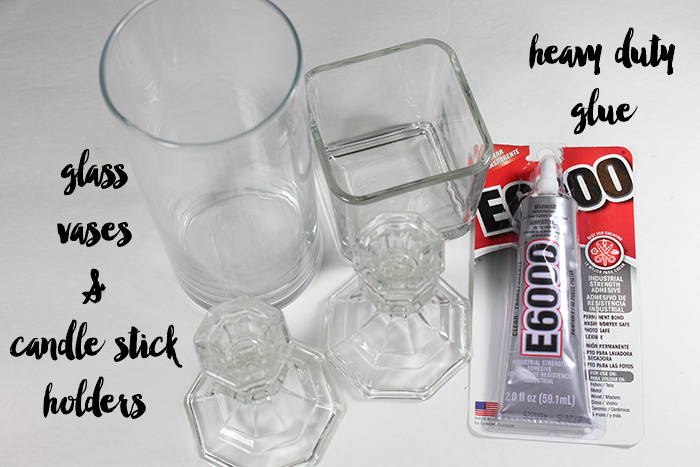 You'll also need your handy dandy glue! 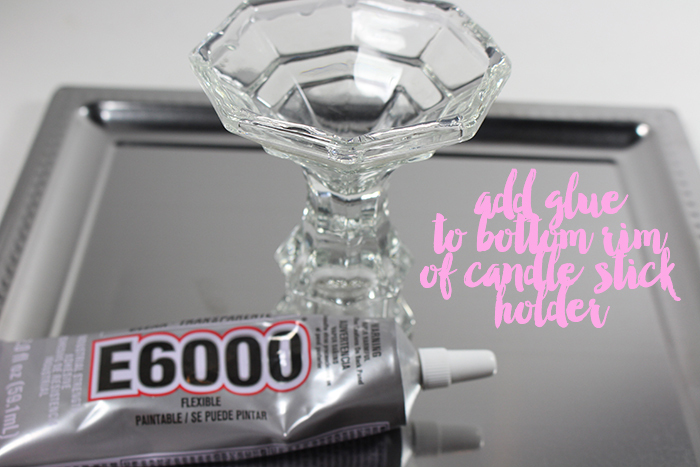 Just like the tiered shelf, you're going to apply your glue liberally to the top rim of the candle stick holders. 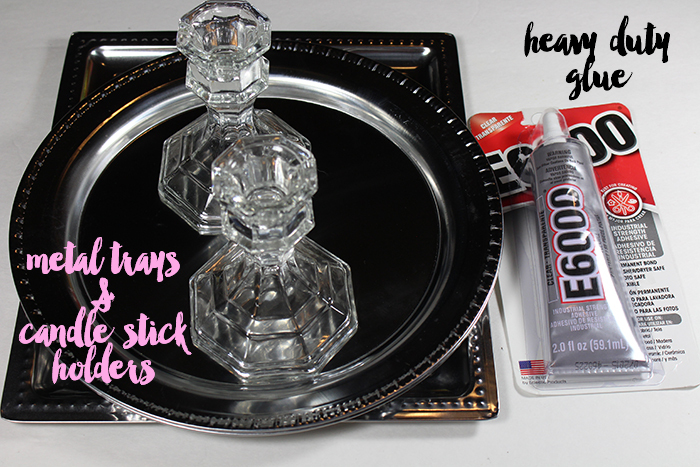 Then place your vases onto the glued rims of the candle stick holders. Even easier than the tiered shelf, and makes such a beautiful statement piece for your bathroom counter. 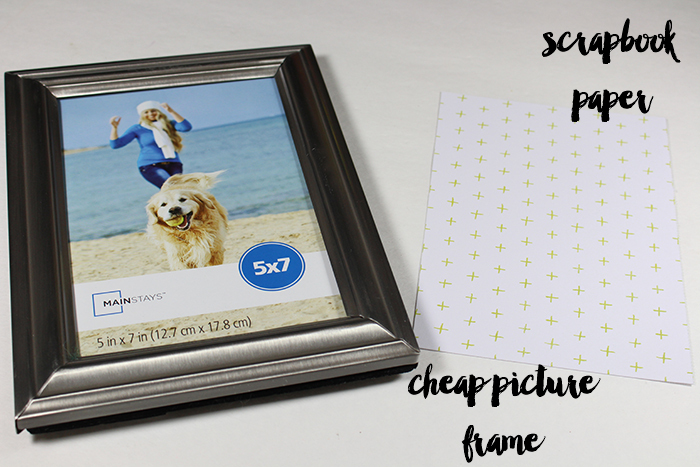 For the whiteboard you'll want a pretty but non-expensive picture frame and scrapbook paper. 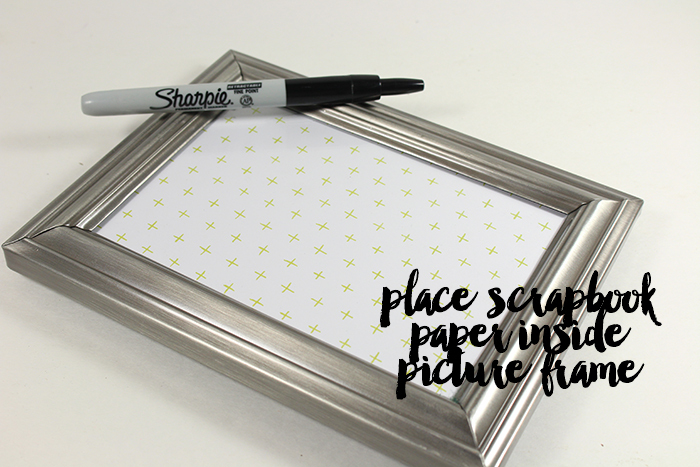 You'll need to cut down your scrapbook paper to fit the size of your picture frame. I chose 5x7! Now you have a pretty framed "whiteboard" that you can write notes or "to-buy" lists on! You can either use dry-erase markers or a plain sharpie marker. Dry-erase will come off easily with wiping. If you choose a sharpie marker, you'll just need a paper towel dampened with alcohol to remove. This DIY "whiteboard" is super handy to make reminders for when you use the last of something. I like to use it to remind me to buy toilet paper! Unfortunately, that's one of those items that you CAN'T do without! So when you are on your last couple of rolls, use your glam DIY "whiteboard" to remind you to pick some up! 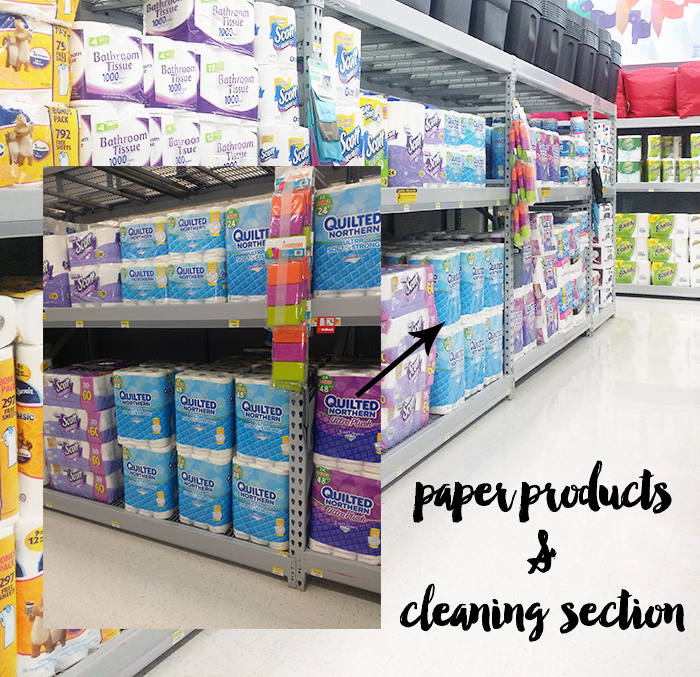 While at Wal-Mart, I picked up Quilted Northern Ultra Soft & Strong® Bath Tissue. 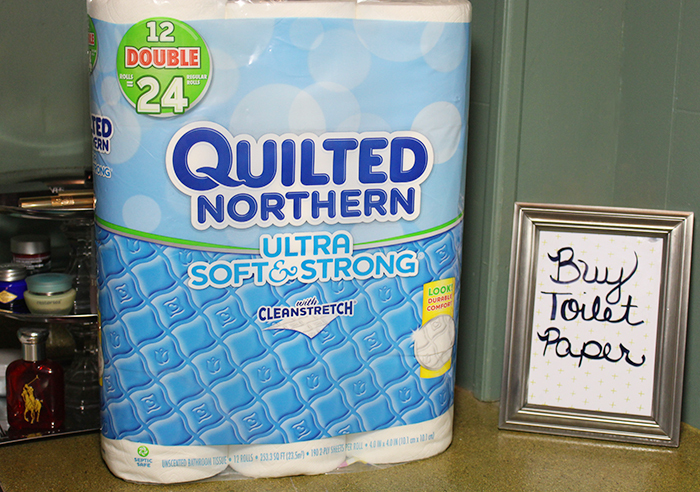 Quilted Northern is a 100 year old brand, and is a bath tissue that I trust to get the job done. They've recently updated their packaging to a more modern look. It's sewer and septic safe so you can flush confidently. I love that it's strong and flexible! 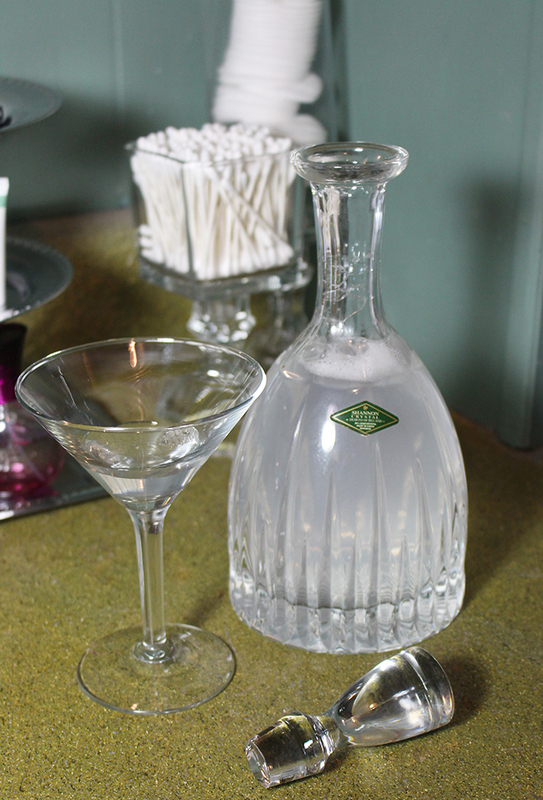 One of my most favorite tips for easily adding glam to your bathroom is to use a glass or crystal decanter to hold your mouthwash in. It's super chic and makes even oral hygiene feel glamorous! 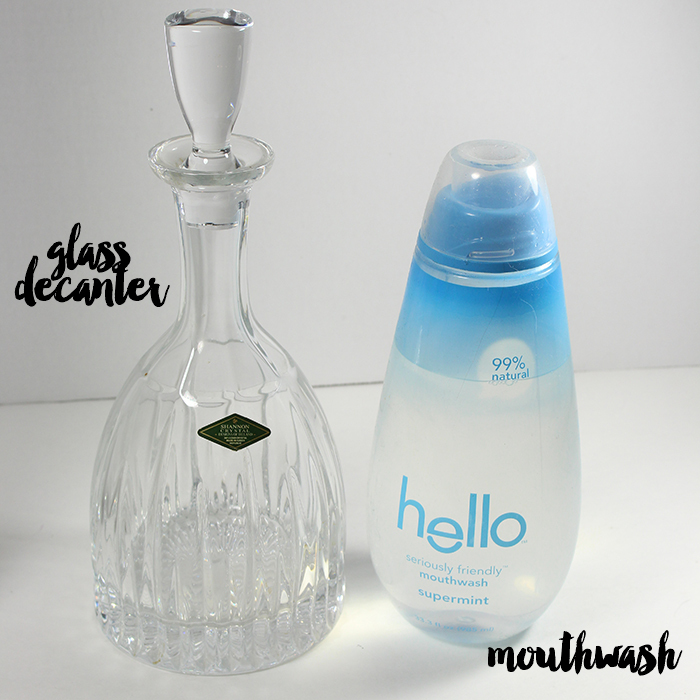 Add a wine glass or martini glass to pour your mouthwash into, and you've got an oral hygiene glam party! 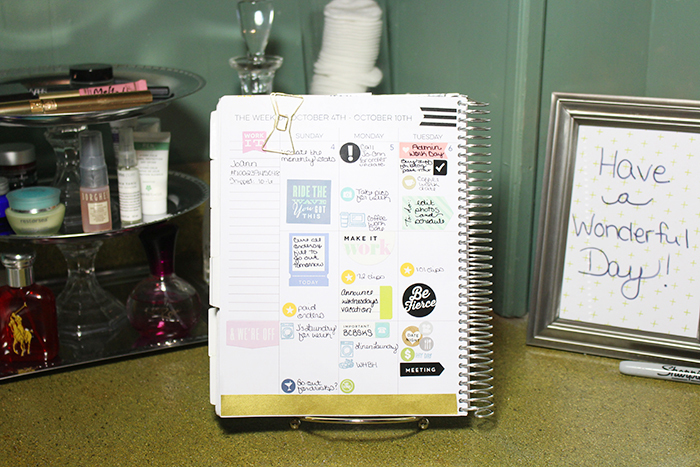 Lastly, I like to keep a recipe book stand in my bathroom so that while I'm getting ready in the morning, I can prop up my planner and take a look at the day ahead! 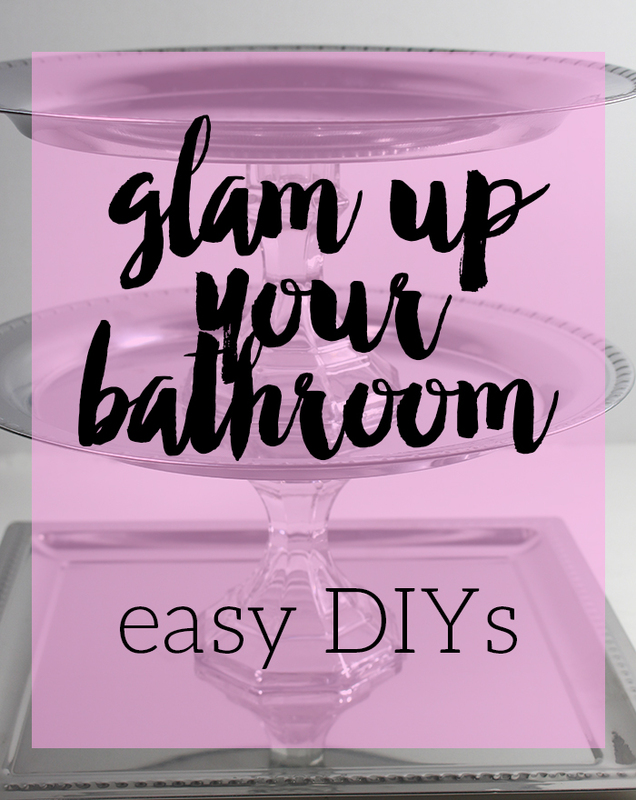 What are your favorite tips for adding some "glam" to your bathroom?! I'd love for you to share them!